Hold the globe in front of your students. Say, “What do you notice about this globe?" Wait for answers until you get the right one. Then say, “It is tilted! This is very important to remember so that you will understand why we have seasons." Ask, “Who can show us where we live on this globe? What continent? What state? What city?" Attach a marker, small toy or flag at the spot where we live. Arrange the furniture to allow for a large space in the center of the room or go to a multi-purpose room or playground. Choose a student to stand in the center of the open space and be the Sun, holding up the bright yellow paper. Hold the globe and say, “Our Earth spins or rotates. It takes one day for it to spin all the way around. When it is facing toward the Sun what time of day is it? Daytime. When it is facing away from the sun it is________? Nighttime. While it is spinning, it also moves or revolves around the Sun. It takes one year for it to go all the way around the Sun. Now watch the globe, especially the spot where we live, and see what happens as we move around the Sun." It may take a few trips around the Sun for the students to see that because of the way the Earth is tilted there are times when it is tilted toward the Sun and times when it is tilted away from the Sun. Plug in the lamp and allow small groups of students to move closer to the lamp gradually until they feel heat. Monitor them carefully so that no one touches the lamp. “How do you feel the closer you get to the lamp?" It gets warmer. “What do we get from the sun?" Heat and light. “Knowing what happens when we move closer to the lamp what can we assume happens when the Earth is closer to the Sun?" “When the top half of the Earth is tilted toward the Sun what happens?" It is closer to the sun so it is warmer and the season is summer. “When it is tilted away from the Earth what season is it?" It is winter. “What can you assume the weather would be like at the equator? The poles?" If possible, show the video of “Bill Nye Explains Seasons" to illustrate further the concept of why we have seasons. 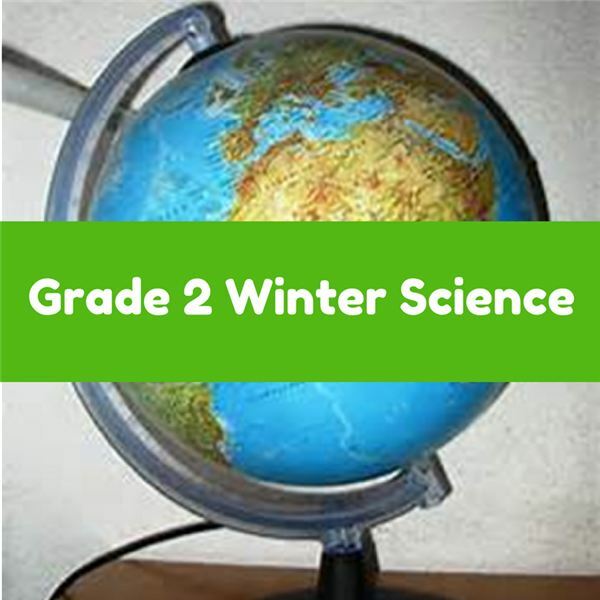 Write three or four sentences about why we have a winter season. Include illustrations. Herrington, Lisa M. How Do You Know It’s Winter? Children’s Press, 2014. Amoroso, Cynthia and Noyed, Robert. Winter. The Child’s World, 2014.